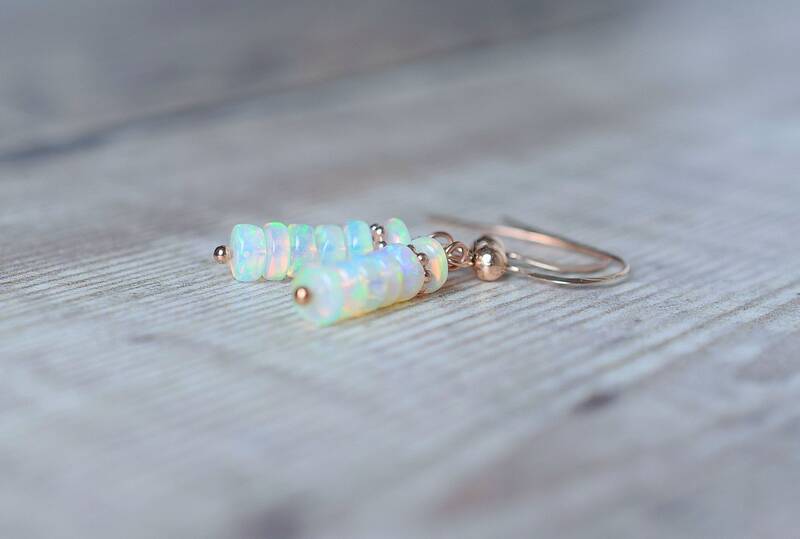 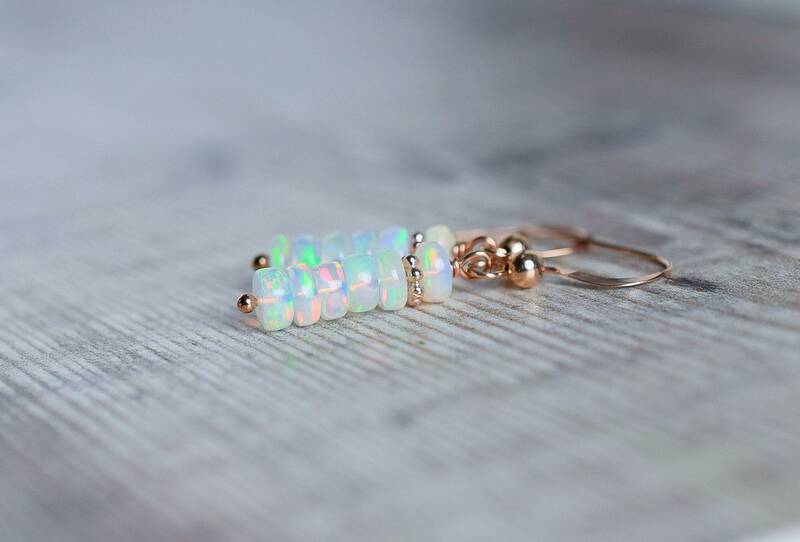 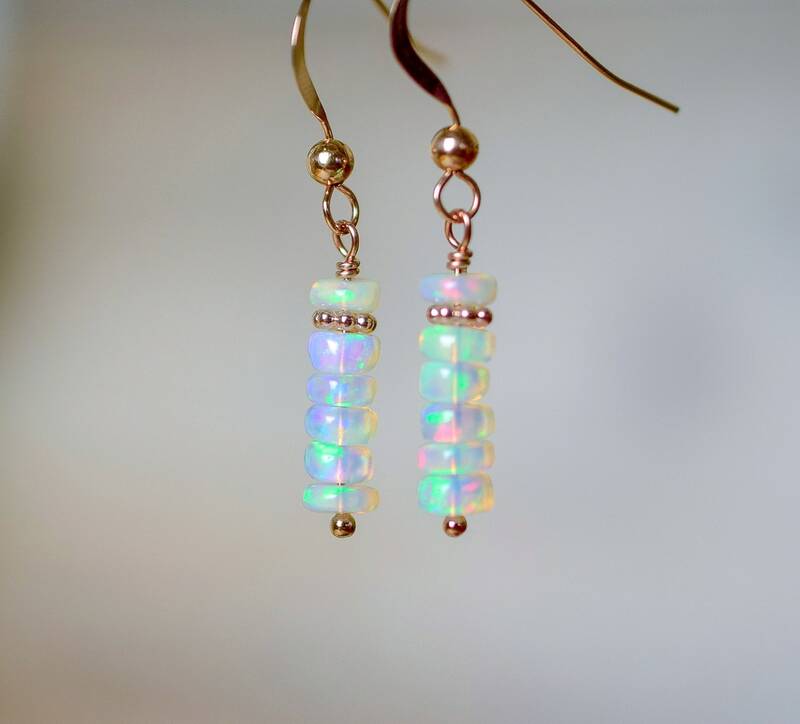 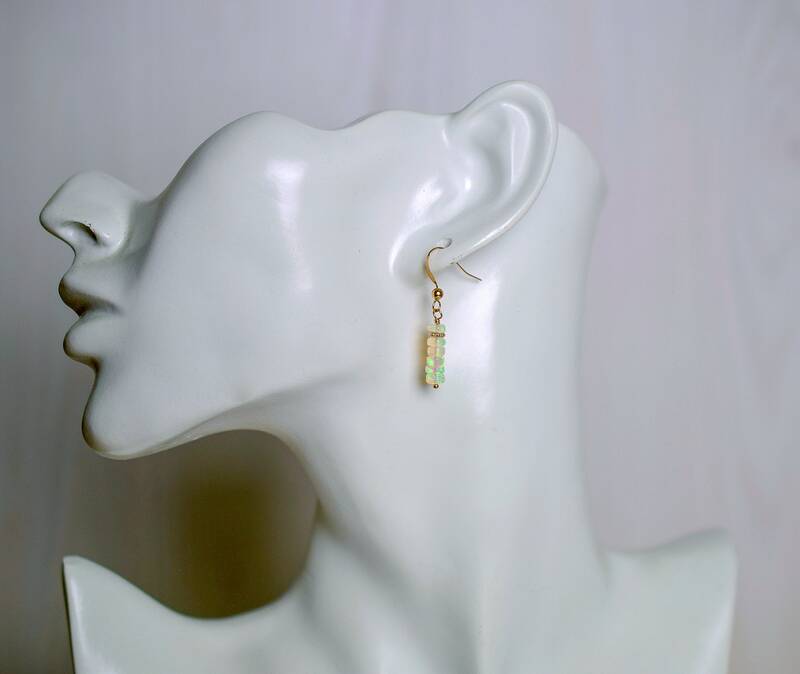 This striking pair of Ethiopian Fire Opal drop earrings are designed with natural Opal beads that have lots of fire and flashes in all the colours of the rainbow. 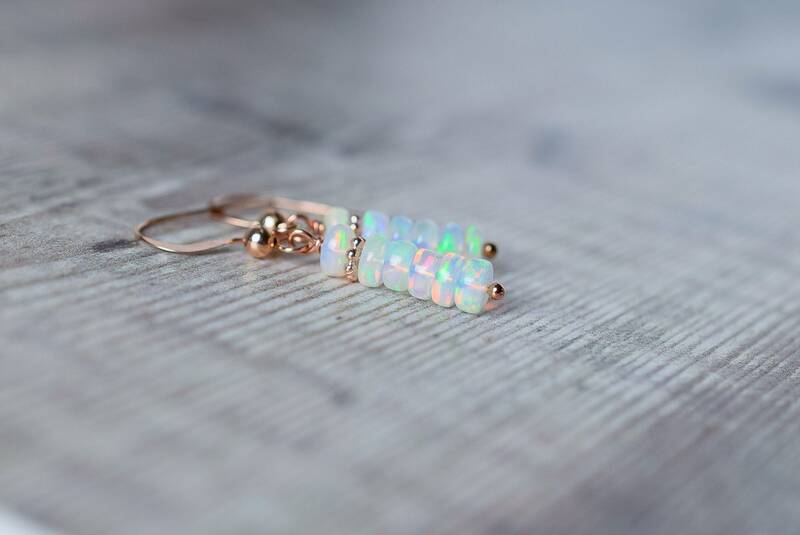 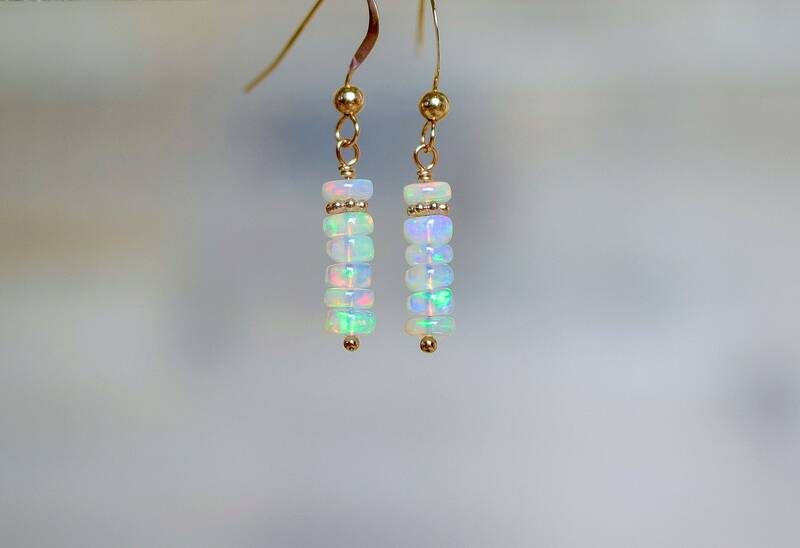 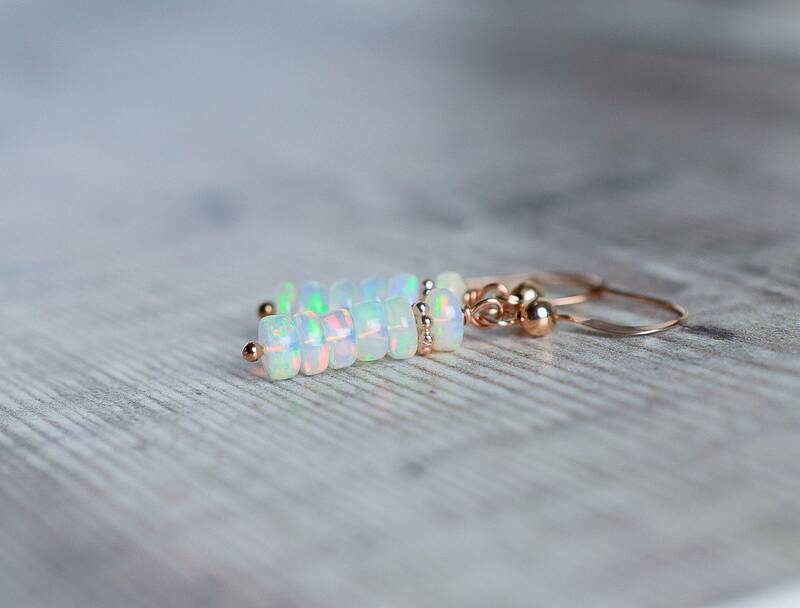 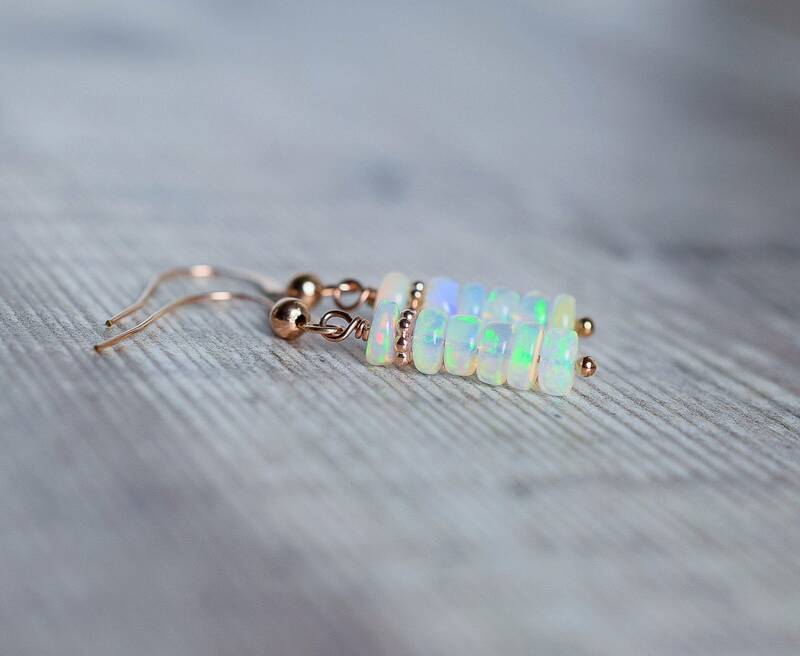 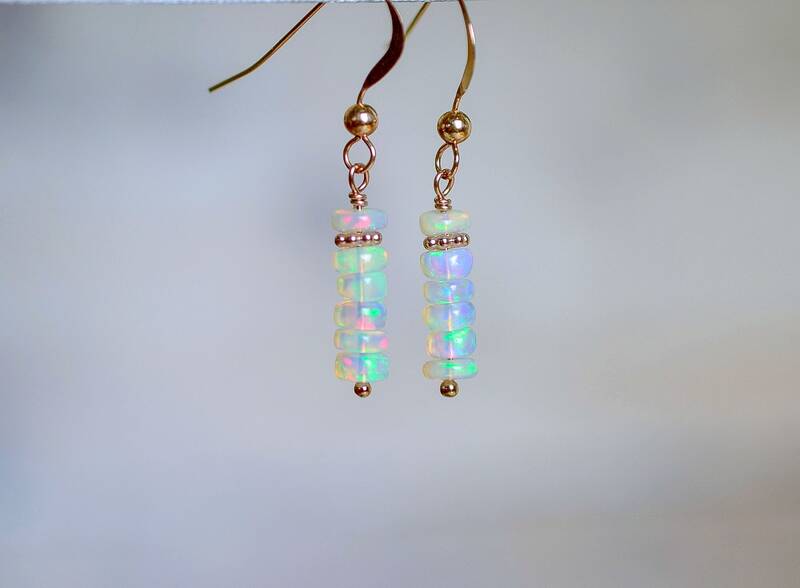 The Opals are strung on 14k rose gold filled wire and hang from elegant 14k rose gold filled ear wires. 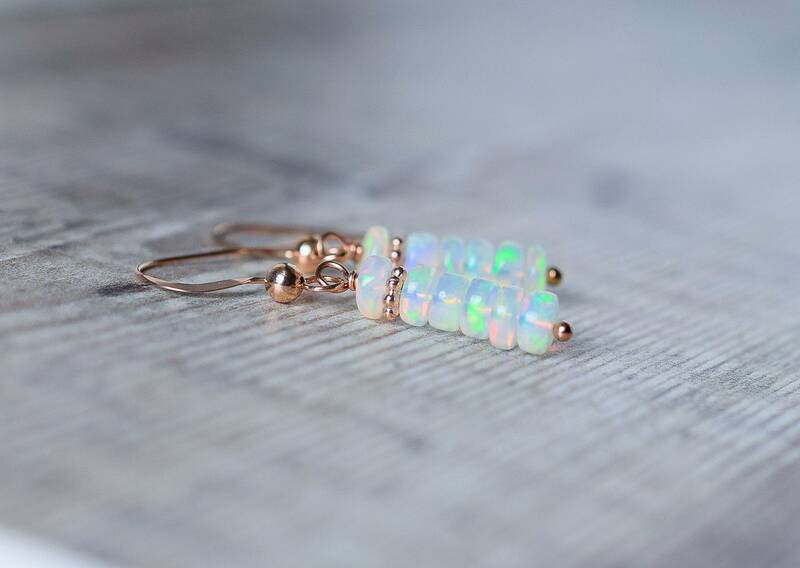 Perfect for any occasion these colourful earrings will get you noticed!